Watch this VIDEO. "We don’t have enough female role models, we don’t have enough visible women leaders, we don’t have enough women in power", says Muffet McGraw, head coach of Notre Dame. Fast-paced and determined play. Check out the hard fought battles. 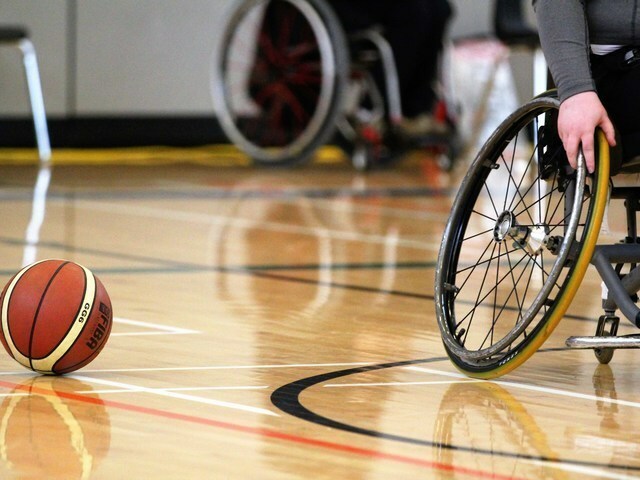 Sledge hockey players changing it up and giving wheelchair basketball a try! #seewhatshecando. This month’s Special Olympics Canada Athlete of the Month is Sandra Malku from B.C.! Sandra is a jack-of-all-trades, participating in basketball, floor hockey, Fit Club, soccer and softball. She always brings her A-game and a contagious smile no matter what court, field or arena she’s in, but floor hockey is her favourite, garnering her gold medals during the Winter Games in 2015 and 2016. Go Sandra!